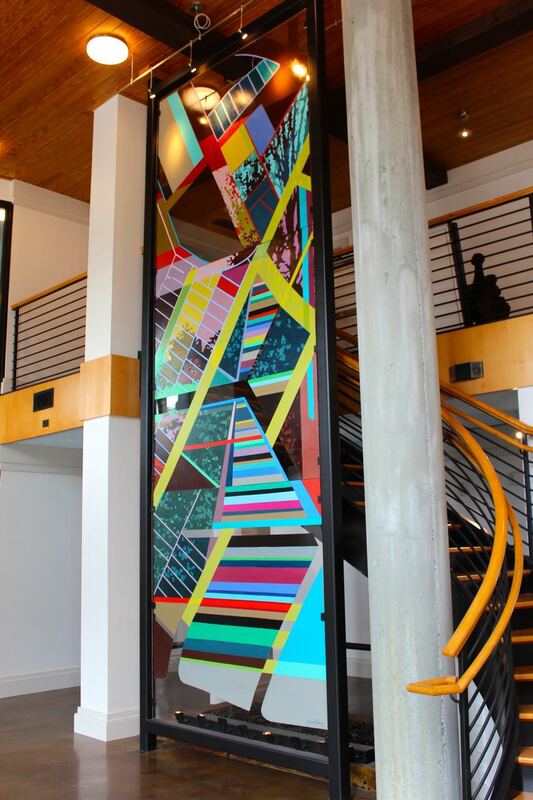 Had the unique and exciting opportunity to create an 18-foot painting for the Wesley Village lobby with my friends at CU Interiors. This was such an incredible learning experience, working abstractly and with a new medium, and on an intimidating scale - phew! This design was inspired by the sidewalks and the train tracks of this historic streetcar neighborhood - connecting the city of Charlotte with the beautiful tree lined neighborhood streets of Wesley Heights.